Looking for a vegan fall and winter main dish? 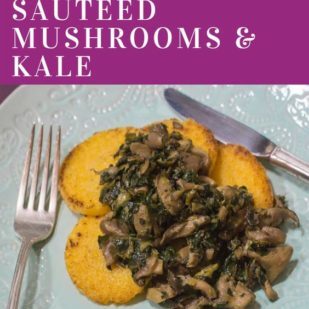 This recipe for Low FODMAP Polenta with Sautéed Mushrooms & Kale will please vegans, vegetarians and meat eaters alike. Oyster mushrooms are low FODMAP in generous portions and their meaty texture and flavor is hearty and satisfying. The polenta is purchased in logs and ready to go, which means that this elegant dish can be whipped up on a weeknight. 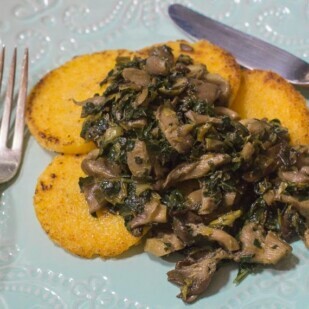 The mushrooms are simply sautéed in a skillet with garlicky oil and seasoning and ladled over the crisp polenta rounds. Not all soy products are low FODMAP, which can be confusing. Luckily soy sauce is! It can add umami, or a savory complexity, as it does here. Read Soy and The Low FODMAP Diet for more information. For another quick and easy dish using purchased polenta, check out our Success Team Rachel Meltzer Warren’s Mini Polenta Pizzas, from her book A Teen’s Guide to Gut Health. 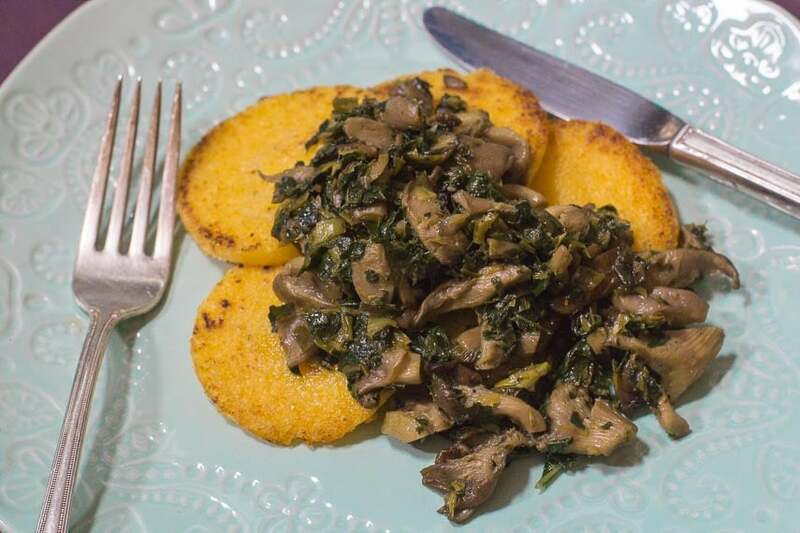 This recipe for Low FODMAP Polenta with Sautéed Mushrooms & Kale takes advantage of purchased tubes of cooked polenta - making this a very quick & easy recipe. Place 3 tablespoons of the Garlic-Infused Oil in a large skillet and heat over low-medium heat. Add leek and scallion greens and sauté for a few minutes, until softened. Add chopped mushrooms, soy sauce and thyme and continue to sauté for a few minutes, until mushrooms have softened as well. Turn heat up, add white wine and kale sauté, stirring often, until almost all the liquid is absorbed. Taste and add pepper, as desired. Set aside and keep very warm. Heat remaining 2 tablespoons of oil in a clean skillet over medium heat. Add rounds of polenta, leaving room around them. (You will have to do this in batches). Cook for a few minutes until golden on the bottom, then flip over and cook the second side until golden. Keep warm while you cook remaining polenta rounds. 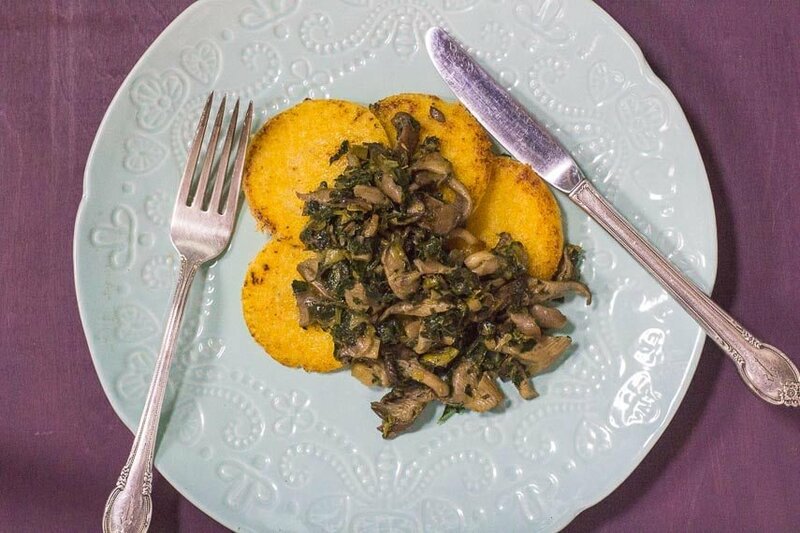 To serve, place 2 polenta rounds on each dish and top with warm mushroom kale mixture. Serve immediately.